Machynlleth station was opened in 1863 by the Newtown & Machynlleth Railway. The impressive stone station building, designed by the Chester architect Thomas Penson, still survives. This is the view from the road approach on 19 October 2014. Machynlleth was formerly the southern terminus of the narrow gauge Corris Railway. 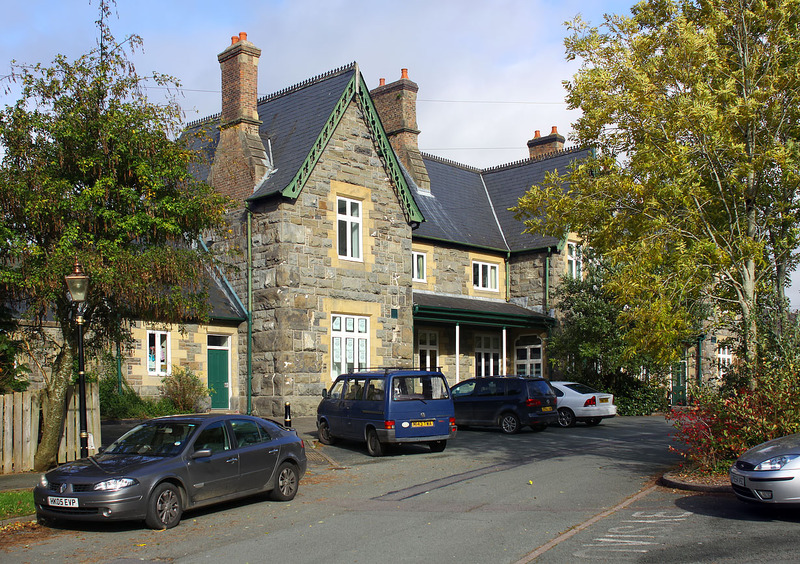 The Corris station was adjacent to the standard gauge station, but at a lower level.